Continuing until August 12th, the Wine and Food Festival features producers from more than twelve countries, including Argentina, Brazil, Chile, France, Portugal, Uruguay and even Israel, Slovenia and Macedonia, as well as great cuisine and a swathe of interesting events. RIO DE JANEIRO, BRAZIL – The sixth edition of Rio Wine and Food Festival is opening this Friday, August 3rd, and will be running until Sunday, August 12th. It will feature an unprecedented opening night at the Rio Planetarium, a bus tour with wine tasting, plus events in the south, west and north of the city for ten days – the longest schedule of the festival yet. 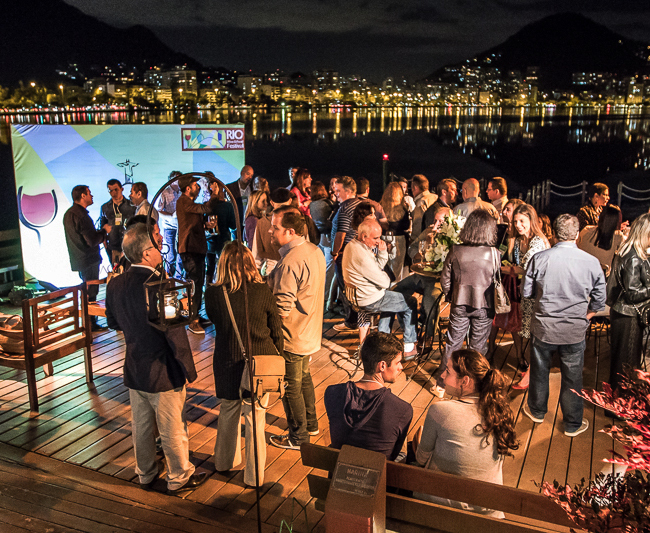 The festival will be hosting events for all different budgets and tastes taking place across the city, including CADEG, the Belmond Copacabana Palace, Uptown Barra and many other locations, photo courtesy of Rio Wine and Food Festival. The official opening will take place this Friday, August 3rd, at the Planetário do Rio (Rio Planetarium) in Gávea, which will be the stage for the ‘Planeta Vinho’ (Wine Planet) a mega wine fair, with tastings, food and wine promotions, as well as a wide range of gastronomic lectures, stargazing, wine courses, master classes, film presentations and much more. On Monday, August 6th at 4pm, the Belmond Copacabana Palace will host the ‘Degusta Talk Show,’ one of the main attractions of the festival, where a big name of world wine (to be revealed soon) is interviewed while tasting some of the best rated wines in the world, some with a score of 100. The next day, on the 7th, the ‘Vinho e Mercado’ (Wine and the Market) seminar, at 8:30AM, will provide an opportunity for those interested to delve deeper into the area’s business at the ‘Fundação Getúlio Vargas’ (Getúlio Vargas Foundation) in Botafogo. Wednesday the 8th is the day of the ‘Master Classes,’ where participants can get to know new labels, varieties and regions with specialists of the area. These will be starting with the unprecedented ‘Vinhos de Israel’ (Wines of Israel) which should be a great novelty even for experts. Other attractions will be the wine tasting of the Peninsula of Setúbal in Portugal and also the opportunity to learn more about the growing market of quality Brazilian wines, including a class entitled ‘Vinhos da Serra da Mantiqueira’ (Wines of Serra da Mantiqueira) “The master classes are the ideal opportunity to deepen the technical knowledge about countries, regions and their respective wines and wineries”, explains Marcelo Copello, journalist and wine expert. The theme of this year’s festival is ‘grandioso, democrático e com qualidade.’ (grandiose, democratic and with quality) and this was exemplified by the ‘Avant-Première’ at the world-famous CADEG, on July 28th, which featured stripped-down tastings from a selection of this year’s featured wines, photo courtesy of Rio Wine and Food Festival. Throughout the rest of the week, there will be more fairs, divided by countries, and the ‘Feira Show de Vinhos’ (Wine Show Fair) on Thursday, August 9th will bring together a mix of all countries and regions, as well as more Master Classes and tastings, with a specific focus on excellent wines from Argentina and Uruguay. 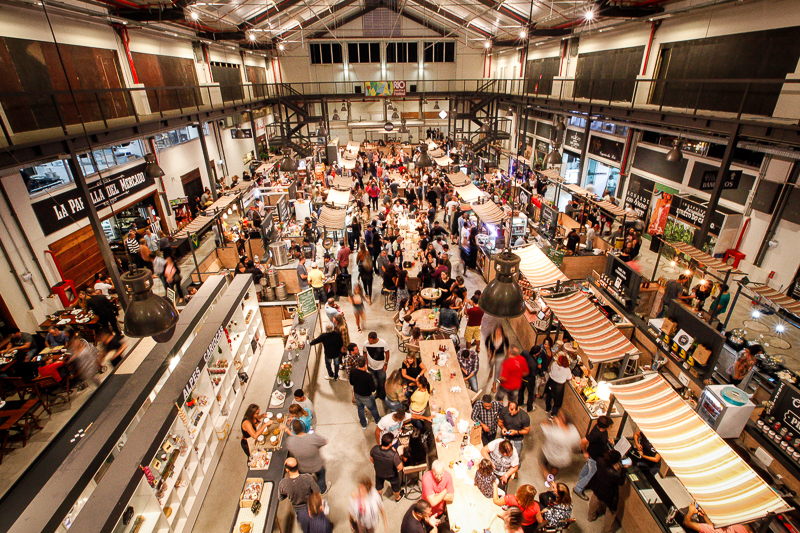 The closing weekend will be dominated by the ‘Vinho no Mercado’ (Wine Market) in Uptown Barra. The event is free to attend and there will be many promotions on wine by the glass and by the bottle, with many wines available for sampling. There will also be food trucks, music, a craft cheese fair and talks with some of the experts from the festival. Finally there will be the ‘Wine Bus,’ which on Saturday, August 11th will be taking people on a relaxed tasting tour in a panoramic bus that will also pass the main sights of the city. When: Friday, August 3rd – Sunday August 12th. See venue to check time details. Where: Click here to check venue details. Entrance: Varies according to the attraction. See venue for details.